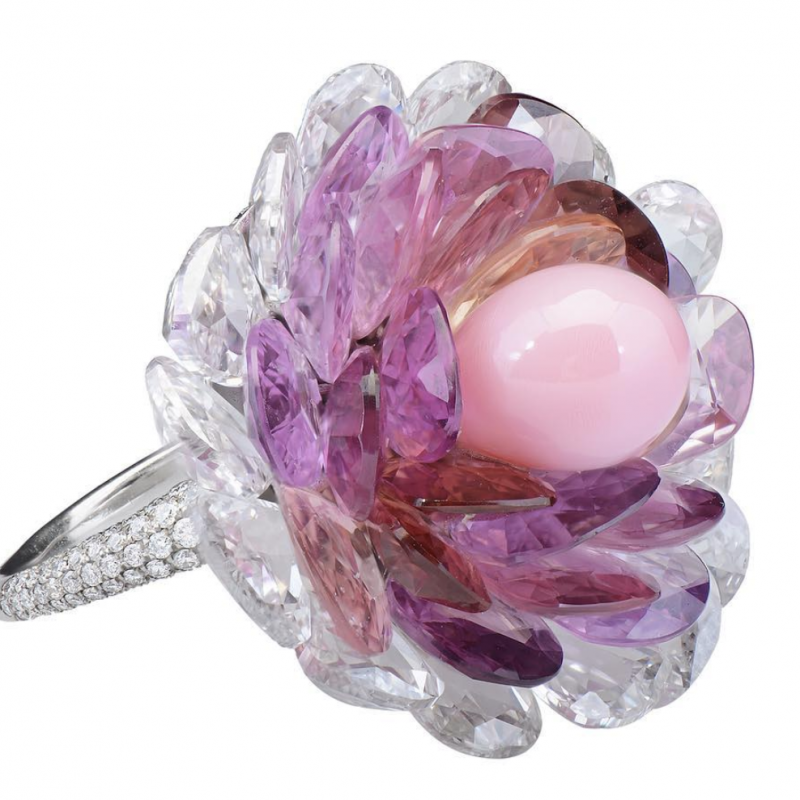 Anna Hu statement ring A stunning 13.95 carats in our Enchanted Orchid Ring. 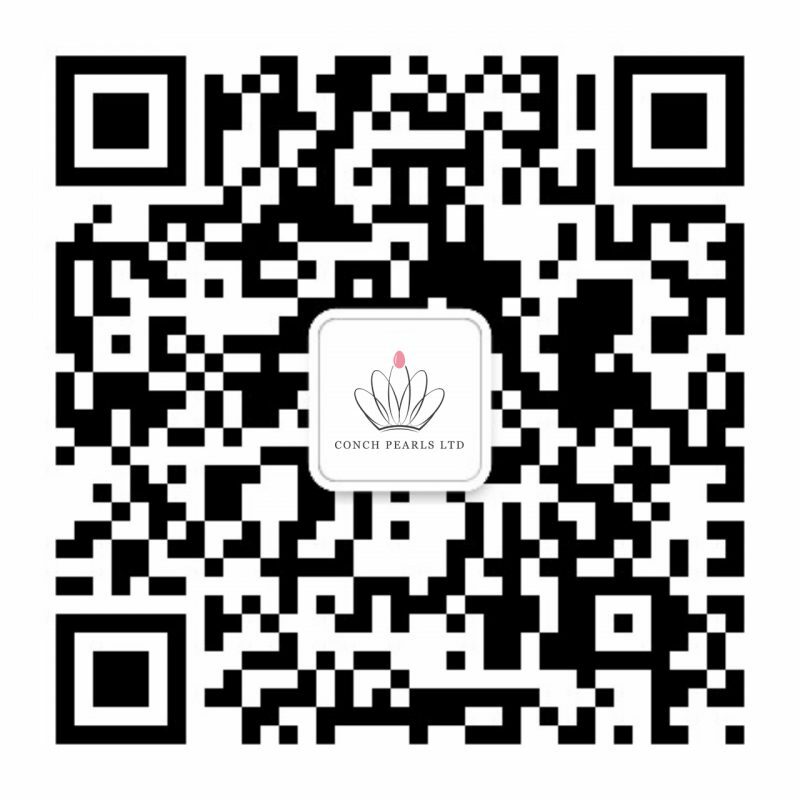 Anna Hu, we love you! 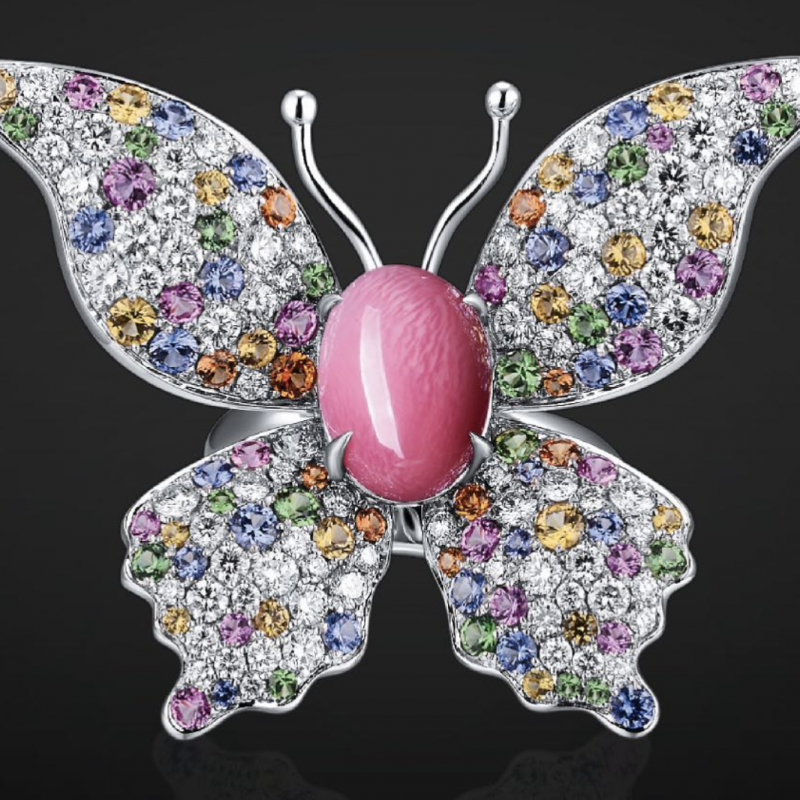 Karen is a passionate talented designer from Hong Kong @karensuenfinejewellery. 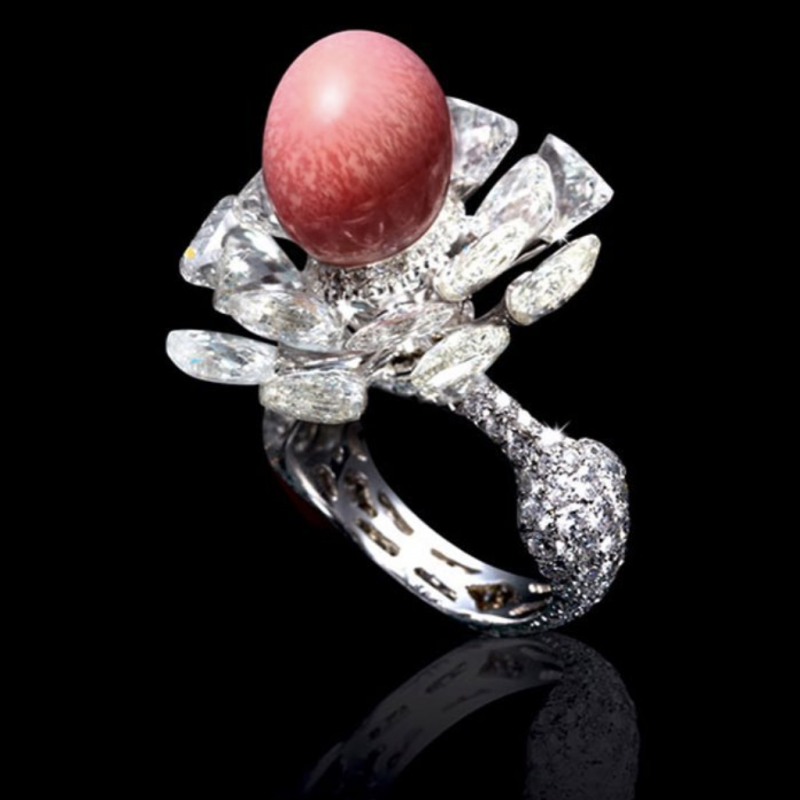 Statement ring: Conch Pearl and Diamond Ring Set with Conch Pearl 11.21cts, Triangular Cut Diamonds 12.04cts, Round Diamond 2.74cts mounted in 18K White Gold. 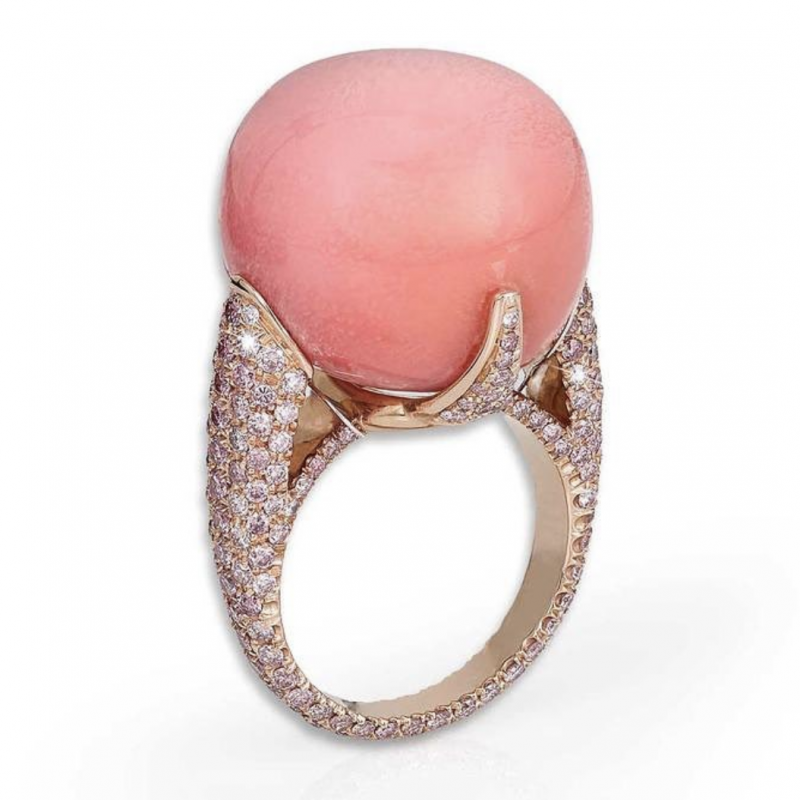 Color and flame structure, this Conch Pearl is one of a kind. 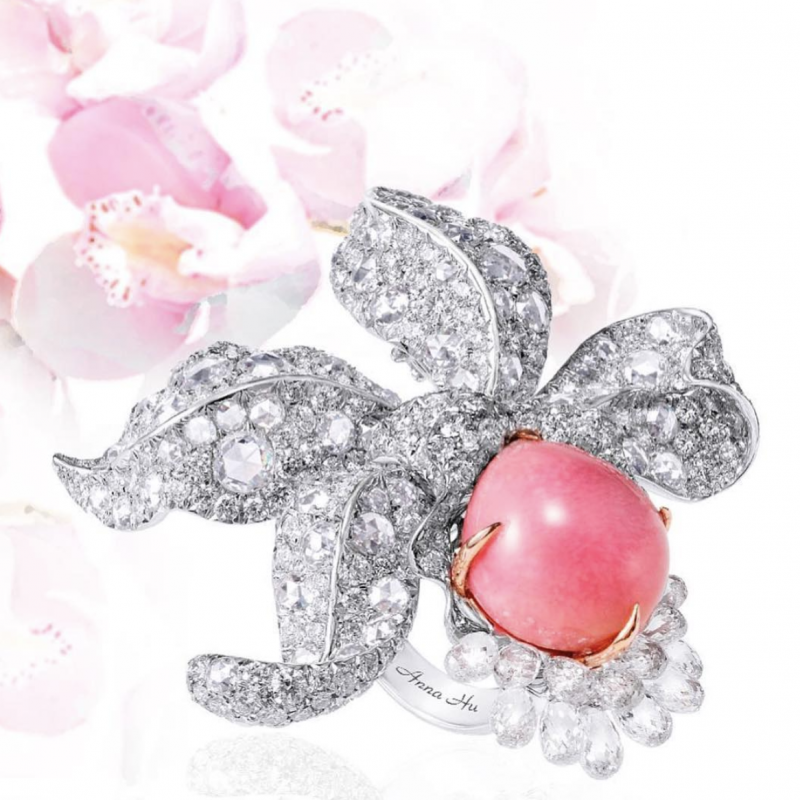 Set with sapphires and diamonds from Maison Ternat. 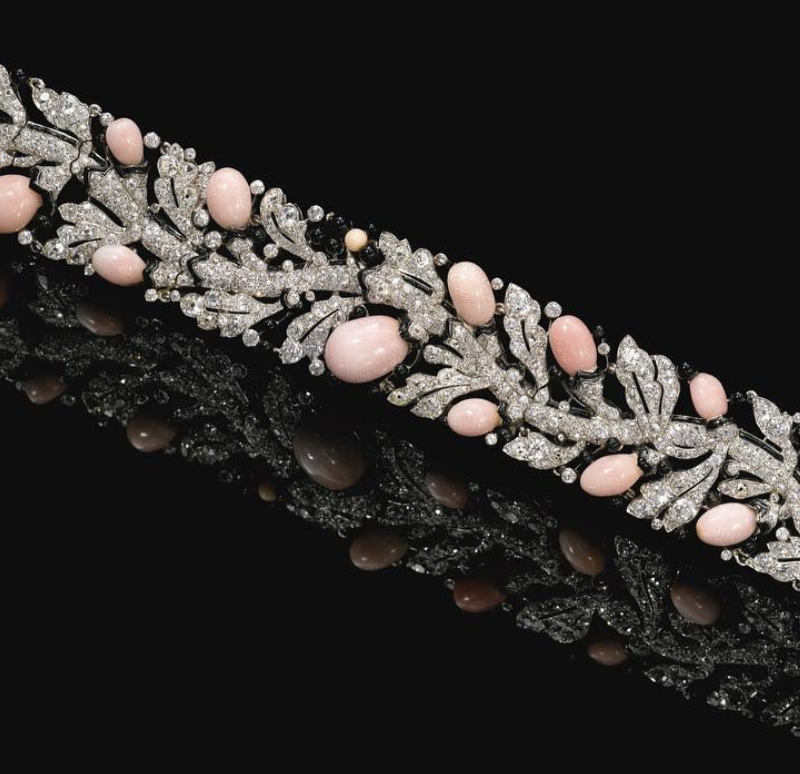 Boghossian Conch Pearls necklace Masterpiece Alert. 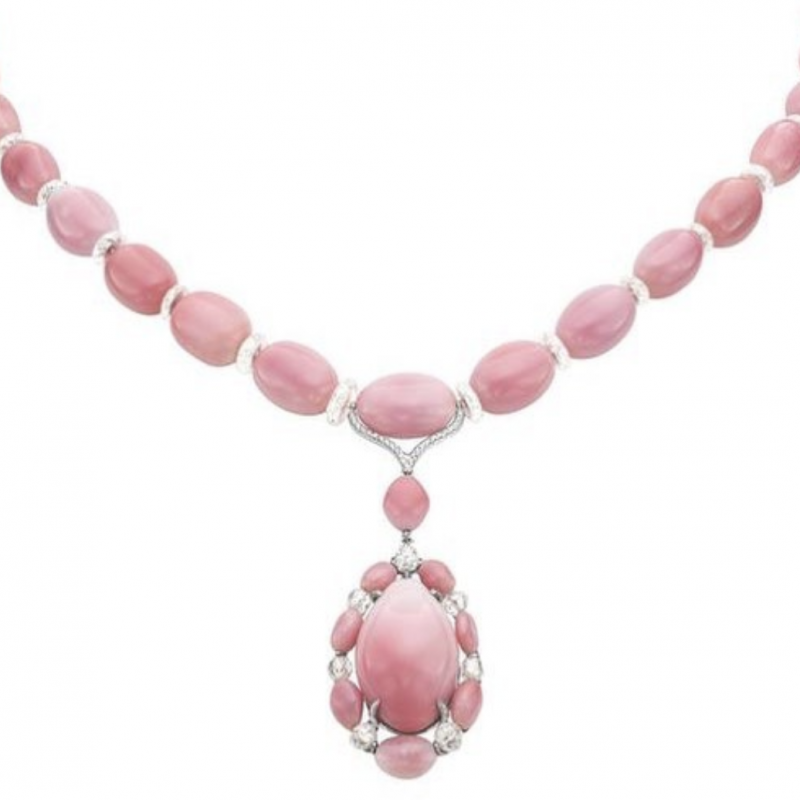 Boghossian made that necklace in 2015 with 32 conch pearls, including one 23.9ct. 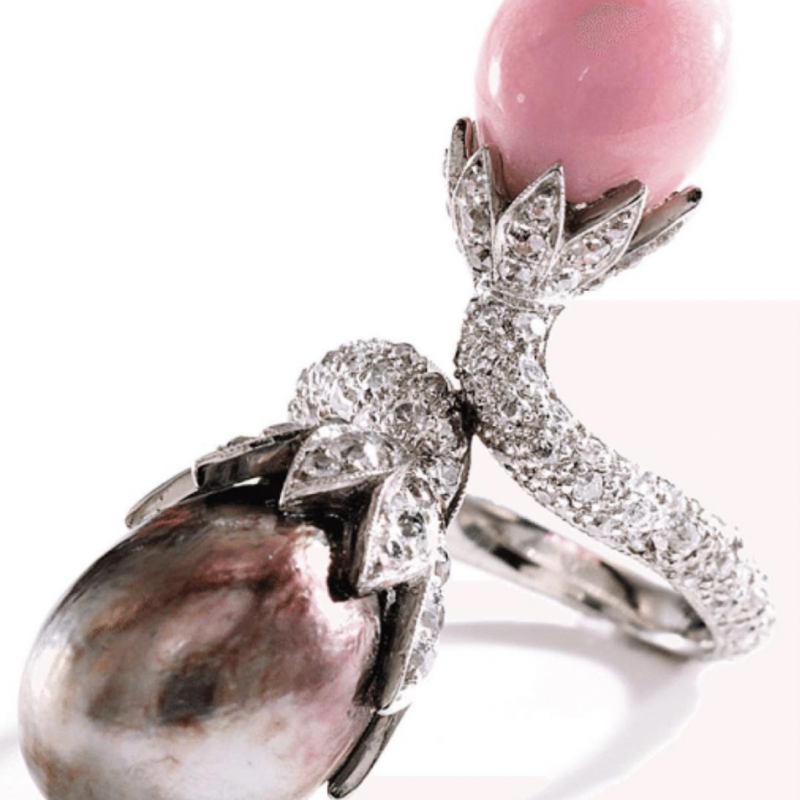 44.55ct conch pearl by David Morris Another masterpiece with a 44.55ct conch pearl by David Morris on Bond Street in London. 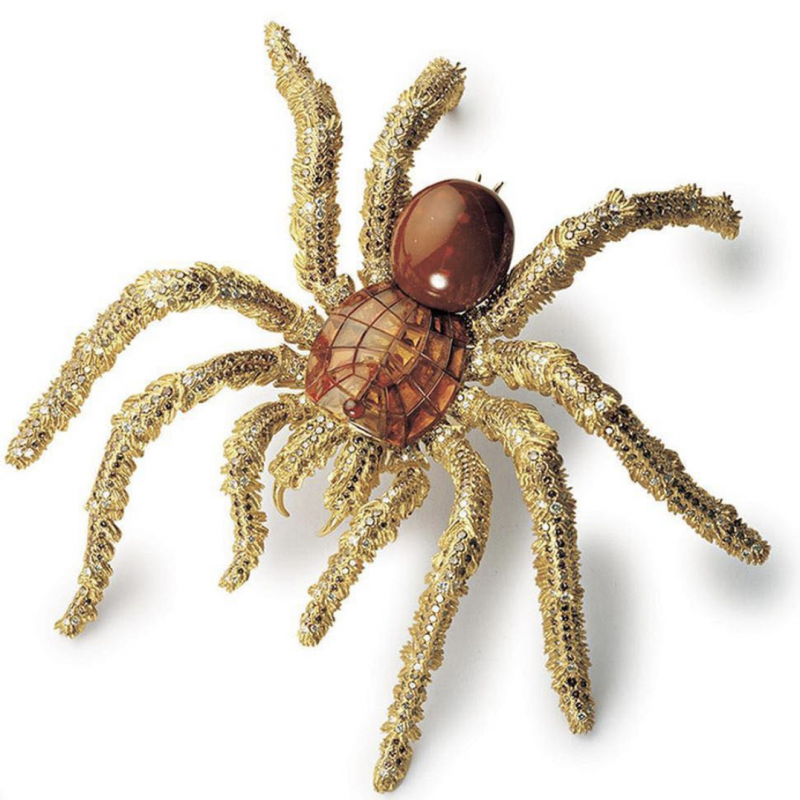 Another one from Hemmerle, the Tarantula brooch, featuring an impressive 117.76 Horse Conch pearl.